Síodhna is a marketing consultant and a Phase 2 mentor with the New Frontiers Programme. A Commerce and Marketing graduate from NUI Galway, Síodhna’s marketing career began 20 years ago in the tourism industry in Kerry, and from there to London and Sydney. She started her Consumer Goods career in the Food sector, with Nestle Ireland working on Nescafe, Chef and Fruitfield brand team. She then moved to Nestle’s Ice Cream portfolio and subsequently onto the Chilled Foods Division. Síodhna excelled in the Confectionery division where she defined a new category strategy for Nestle. She subsequently moved to eircom to develop and launch 3 new voice and broadband propositions in five different languages. Síodhna also launched eircom’s first ever calls over the internet, market leading technology at the time. She worked on the brand team in Coca-Cola Ireland on brands such as Coca Cola, Coke Zero, Powerade and Fanta. Síodhna is passionate about all things digital and won awards for her digital work on Coca Cola, creating its most successful and engaging online teen campaign at the time. 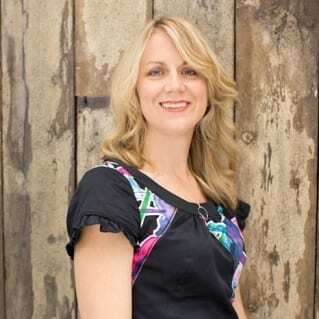 She founded Inspired Thinking marketing consultancy in 2012 because she wanted to work with struggling SMEs and start-ups who needed strategic marketing direction. She has particular experience helping clients to “see the woods from the trees” when determining their marketing strategy and in how to craft key messages that engage and persuade. Personality and energy can make all the difference and Síodhna is passionate about making a difference to every business she works with. With a keen focus on online, tech, food and consumer goods sectors she collaborates with a wide panel of experts, to advise clients on creating the best possible communications to persuade, sell and get results.